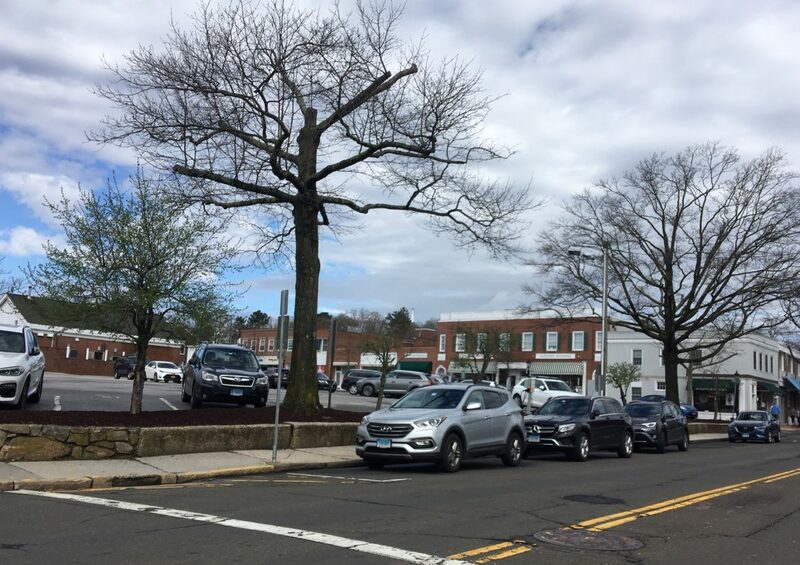 The Parking Commission at its most recent meeting voted 4-1 to uphold a $25 ticket for a New Canaan woman who had overstayed in a Main Street space for about a half-hour. “In fact, it was so full that there were cars parked in areas marked ‘no parking’—and that’s quite a common occurrence,” McEvoy said during her appeal hearing, held March 14 at Town Hall. McEvoy estimated that she has volunteered a total of approximately 4,200 hours at the library. Commissioner Peter Ogilvie asked McEvoy why she didn’t park at the Center School Lot just across Maple Street from the library. In the end, he was the only commissioner to vote in favor of voiding the ticket. “She is volunteering, she just parked in an easy spot and it only happened once,” Richey said. Yet other commissioners noted that McEvoy had overstayed by a full 30 minutes, that the library lot frequently fills up and that in this case, the ticketed person could have set an alarm on the phone or something similar as a reminder to move her car. Commissioners Crum, Ogilvie, Hering and Stuart Stringfellow voted to uphold the ticket. As Executive Director of New Canaan library, I would like to provide factual information about the parking situation at the library. With daily visitors to our building of 800 to a 1000 people per day, it is true that our parking lot is full most days, most of the time and also that people create new spaces, parking where they oughtn’t. However these people are indeed using the library and not going elsewhere. We monitor the parking lot consistently and place warning notices on any car we find overstaying the 2 hour maximum. While the parking situation at the library is challenging there is no doubt that the cars do in fact belong to library visitors. Thank you for these clarifications. It was sort of strange during the hearing to watch the appellant criticize library parking while detailing her own volunteerism there as part of this failed effort to get out of a $25 ticket. I’m more interested in what Parking Commission Chairman Keith Richey said. In the end, he was the only commissioner to vote in favor of voiding the ticket. “She is volunteering, she just parked in an easy spot and it only happened once,” Richey said. You might also want to check with him about the comments he made to me about his fellow Commissioners vote. And, what happened to civility and fairness in New Canaan when an 80 year old person who volunteered thousands of hours to the library and in the past to the schools as well, gets one parking ticket in 50 years and gets stuck paying for it? The NC Police aren”t even that strict! Upon further discussions a friend, it’s not surprising that you thanked the head of the library for her comments since you get the free use of a room there once a month for your coffees. Well now isn’t this interesting? Court Says Using Chalk On Tires For Parking Enforcement Violates Constitution’s 4th amendment. The U.S. Court of Appeals for the 6th Circuit unanimously agreed that chalking tires is a kind of trespass. This could eventually affect New Canaan. 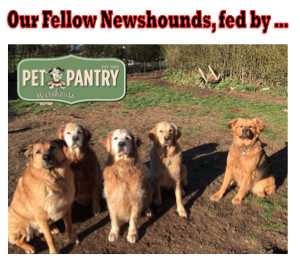 A bunch of readers sent me that article, Tom. I wonder if the job of physically chalking tires could be done through license plate readers that simply record where cars are parked and when? Michael, it appears as though the State of CT does not have any laws restricting the use of ALPR systems including how long the data is maintained nor does it restrict who the town government can share the data with. There are eight towns who currently share the data with ICE. There are no restrictions on how long the town can keep the data so they are free to amass profiles on every resident in town. I would not be surprised to see our town begin using ALPR to enforce parking if they haven’t already.